Unlock 10 exclusive video lessons. This class provides a theoretical and practical understanding of the growing field of contemporary museum education. It includes an examination of the changes occurring in art and design educational paradigms within the museum world, the evolving nature of museums as institutions with educational missions, along with learning and interpretive theories unique to the museum context. The class provides an extensive hands-on component devoted to the special methods, practices, and skills associated with teaching with artworks, and in designing educational material, projects, programs and innovative learning experiences within the art and design museum settings. The course also explores critical issues facing the field through theory, practice, and the analysis of case studies, including audience diversity, collaboration with schools and communities, the rethinking of museum missions and practices, and the potential for innovation and avant-garde practice within the field. This session includes an introduction to the components, history and function of museum education. This session will focus on designing gallery learning experiences and engaging museum audiences. This session will explore further variations of the Gallery Learning Experience and how to develop critical educational and museographic practices in museum settings. This session will cover how museum education and curation come together, along with examples of educational resources outside of the museum environment. In the final session, we will go over the potential of new innovations in museum education, and the future of museum education in the ecosystem of learning as a whole. 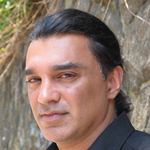 Amir Parsa is an internationally acclaimed writer, poet, translator, cultural designer, and educator. His literary oeuvre—written in English, French, Farsi, Spanish, and various hybrids—constitutes a radical polyphonic enterprise that puts into question national, cultural, and aesthetic attachments while fashioning new genres, forms, discursive endeavors, and species of artifacts. His curatorial, conceptual, artistic, and critical endeavors have taken place in a host of public spaces, universities, and environments. For over 10 years, Parsa has created and launched numerous programs, curricula, and unique learning experiences in museums in New York City, across the U.S., and in many other countries, including Mexico, Italy, India and Norway. In his years at The Museum of Modern Art, Parsa developed work which linked art and design education to literacy, health, social change, and community practice, including MoMA’s Wider Angles and Double Exposures. From 2007–2011, he directed the landmark MoMA Alzheimer’s Project, which had great critical and popular success and has been implemented in more than 100 museums across the world. Parsa was born in Tehran, attended French International schools, Princeton, and Columbia, and currently lives in New York. Parsa is currently an Associate Professor and Director of Academic Transdisciplinary Initiatives in the Office of the Provost at Pratt Institute.